Bacon wrapped little smokies with brown sugar sprinkled on top, and baked to perfection. 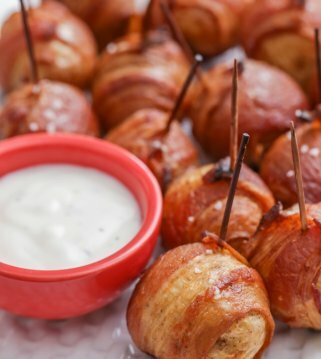 These bacon wrapped weenies are the ultimate appetizer for any party, and always the first to disappear! 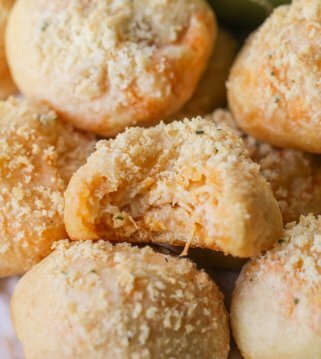 When I first tried this appetizer recipe years ago, I remember thinking that it was beyond delicious… And I may or may not have had about 10 of these babies. They’re just that good! Since then, we have made these Bacon Wrapped Smokies (aka Brown Sugar Smokies) for almost every big family get together. 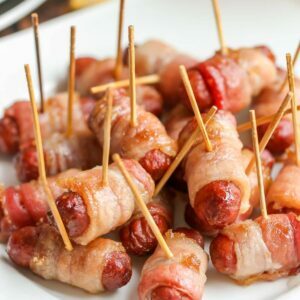 Each weenie is wrapped in a piece of bacon, sprinkled with brown sugar, and slowly baked to a perfectly caramelized, savory bite of heaven. 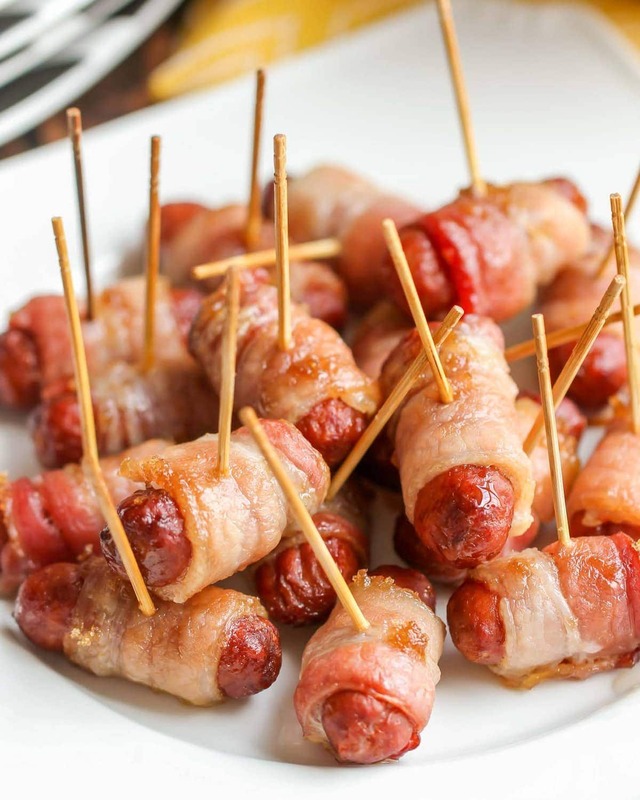 Not only are these little smokies wrapped in bacon delicious, but they’re simple! Just THREE ingredients are needed – smokies, brown sugar, and bacon (all yummy!). Usually where there are appetizers, there are parties. 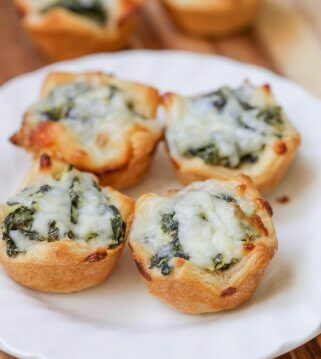 So it’s nice to have an easy appetizer that is quick and perfect for these get togethers! What is it about the flavor combo of brown sugar and bacon that is so incredibly delicious? I don’t know, but what I do know is that this one of the easiest brown sugar and bacon recipes you will ever find. Only three ingredients (talk about simple!) plus only 5 minutes of prep time and a few steps! 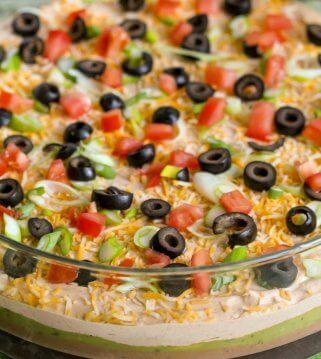 So simple and perfect for any party or get together. 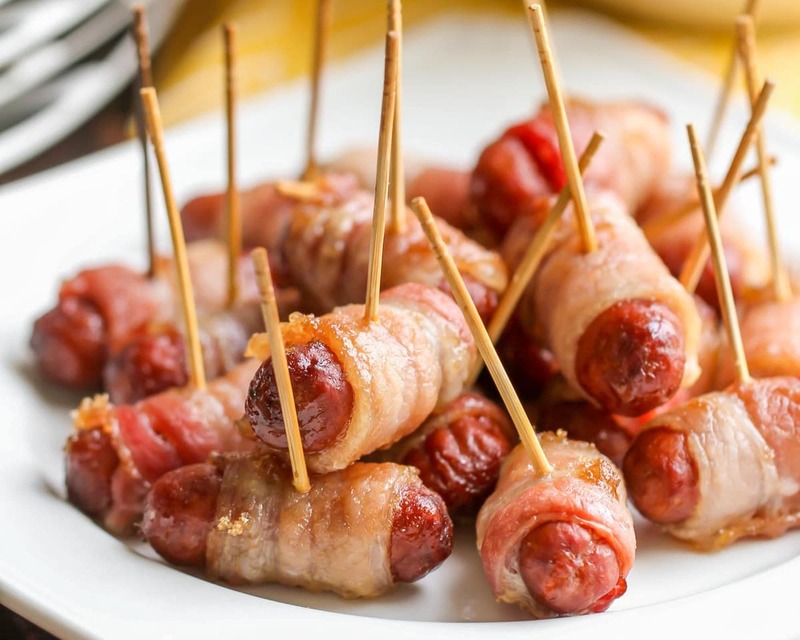 Wrap smokies in bacon as usual and place half of them in the bottom of your crock pot. Cover with about 1/2 cup of brown sugar, add another layer of smokies, and cover with another 1/2 cup of brown sugar. Cook on low for 3-4 hours. Can bacon wrapped smokies be made ahead? This weenie recipe is actually a great make-ahead appetizer. Depending on how early you want to make them, you can do all of the steps prior to baking, and either put them in the fridge up to 3 days, or you can freeze them for a month or two. Can bacon wrapped smokies be frozen? Yep! You can freeze them pre-baking, or afterwards (assuming there are any leftovers to freeze) 😉 Either way, put them on a cookie sheet and freeze for a couple hours, then transfer them to a freezer bag (this prevents them from sticking together in the bag). 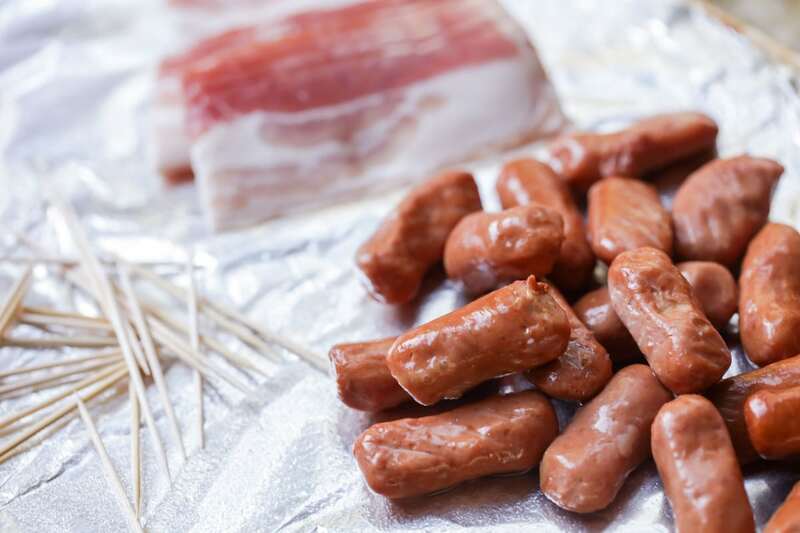 How to reheat bacon wrapped smokies? If you’re reheating unbaked frozen smokies, bake as usual, adding 10 minutes to the cooking time. If you’re reheating leftovers, you can put them in the oven for 20 minutes at 325°, or for smaller amounts, you can microwave them for 20 seconds at a time until they’re heated through. Add 1/4 tsp (more or less depending on your taste preferences) of cayenne pepper to the brown sugar for a sweet and spicy kick. Baste with BBQ sauce after baking, and broil for an additional 3-4 minutes until the weenies are sticky. Add a small slice of pineapple or jalapeño pepper to each weenie before sprinkling the brown sugar. Well I’m convinced I need to try these! We always have snack night for dinner around the holidays and being the bacon loving family that we are, I suspect these we be the first thing to get eaten! You will have to let me know how you like them. They are seriously SO good! I think I would love these more than the crescent roll wrapped ones! YUM! We call these Pig Candy! Easy and delicious. A winter holiday gathering is not the same without these little meat candy pops. They are a labor of love. I bake them on a disposable broiler pan at 375 for 25 minutes. Using a baster to remove the fat and melted sugar, I then reapply the melted sugar and bake again for another 25 minutes. Repeat this process a few times until most of the fat is rendered off and you are left with a deliciously gooey meat candy. They definitely taste better warm. You could keep them in a crock pot on the warm setting, so they don’t get cold or a low setting. Hope that helps!! They’ll be a hit! Thank you for sharing the recipe! I’ll have a small party this weekend, these Smokies will be a great dish. You are so welcome! They will be a hit! Have fun! I had these at a party a couple of years ago and yes they are just that good. I have not been able to get them out of mind since. I have bought everything and will be making them for Christmas! I am so excited. One of the best recipe. I really want to try this in my kitchen.It will be the very delicious snacks. Yes, you need to! It’s the best appetizer or snack! So yummy!! these are the best! late comer to trying them and now this Christmas day will be the 3rd time in December 2018. used them as appetizers twice and once as a treat to go along with a potato bar. delicious!!! if you have not tried them go for it and you will be the hit of the gathering. they a definitely best warm or hot. Thanks for sharing that!! I know what you mean..we make them quite a bit! New Years Eve is my favorite because we get to eat all the yummy appetizer’s! These bacon wrapped smokies were amazing!! We love these for New Year’s!! Thank you! These are the tastiest little appetizers! Anything wrapped in bacon is the bomb! We made these for New Year’s & they were gone so fast! My husband’s favorite thing ever! These are a classic and i also come Back to your recipe when making these. So good! Made these for christmas eve and they were a huge hit. Not one was left on the plate after the party. We can never make enough of these! There always The first to go and have the best taSte ever. 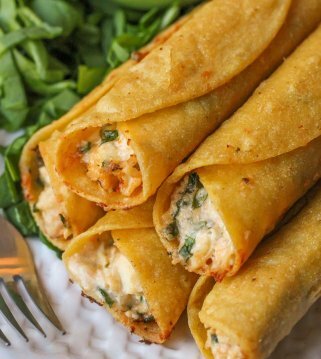 You can make these ahead of time too. An added plus in my opionion. 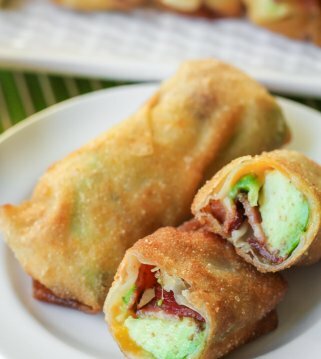 These little appetizers never last in our house! They are so good!!! I first has these about 15 years ago at a Bridal brunch. Ive always wanted to make them but wasnt sure on the cook time. Thanks for sharing the recipe! These are the best tasty appetizer EVER! My boys are so excited about these!! LIl smokies and BACon together= YUMMY. thanks for the recipe!